Welcome to Alternative Energy, LLC Energy Phoenix, Arizona’s #1 provider of solar panel installation! View the Pro’s and Con’s of Solar Energy below. Solar is an energy source that is renewable. This simply means that we will not run out of sunlight. In contract to other energy sources like coal, and fossil fuels. Solar will be renewable each morning when the sun rises, for as long as the sun keeps rising or the Earth keeps on circling it. Estimates for the suns projected longevity run about another 6.5 billion years, according to NASA. This leaves plenty of time for us to make the most of the sun, and it’s energy. An incredible amount of energy is already being produce both by commercial and residential solar power collectors. But this is only a tiny fraction of what really could be done with solar energy. Earth’s surface on average receives 120,000 terawatts of sunlight, or solar radiation. With more extensive solar energy collection through solar panels this is more than 20 times the energy required to power all of the planet. Simply stated, a sustainable energy source is one that does not run out. It is also a system where the draw is exceed by the output. Solar once installed does nothing but output power, and simple absorb the sunlight already falling on your home. This means that solar power can help meet our needs today, while not leaving a world with exhausted energy sources. Collecting solar energy with solar panels does not create pollution. The production of solar panels does cause some emissions, and the transport of the panels to our homes does burn some fuel. This pales in comparison to convention power sources like coal. Maintaining power lines along with the pollution of the power plants themselves, far out weigh the carbon footprint of solar panel construction. Solar power already has dramatically reduced our dependence on non-renewable energy sources. With greater utilization solar could easily replace them entirely. This is a critical step in our energy independence and helping to fight the climate crisis. There are many places in the world that are remote and difficult to access. Rural parts of the countryside are on the grid, but during inclement weather are plagued with power outages with downed power lines. Some countries such as Germany have advanced and efficient power systems, but that power can only be carried so far to share with neighboring countries. It is also only shared at will and at a cost, meaning that price negotiations can make it unrealistic to buy power from other countries. Solar power however is available anywhere the sun shines. This makes the production of power something everyone can do. It’s power independence, which means power by the people, and for the people. Not by the conglomerates, for a buck. With enough sunlight and the right solar panels some homeowners actually produce more power than they use. This means they have excess they can sell. Power companies have introduced a feed-in-tariff scheme and net metering. This tracks energy production from the solar system, and how much power is used from the community grid. If the net power remaining is higher than the usage homeowners can either sell the electricity, or have the option to actually just receive credits on their power bills. This means many home owners are able to completely free themselves from their overall electricity consumption from the grid. In some cases, depending on the days of sunlight and type of panels, some homeowners can expect to have regular excess sunlight to sell. This is especially true in the sunny states, light Arizona, Florida, and California. 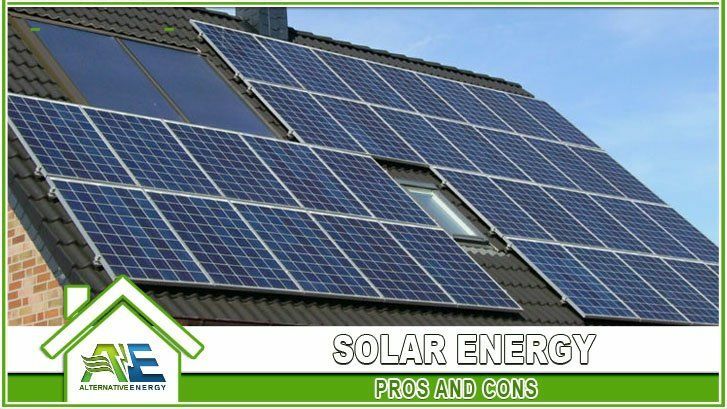 Most homeowners these days have the option of entering a power purchase agreement or choosing to lease the solar power equipment. This in some cases completely eliminates paying for the solar power panels upfront. At the very least it dramatically reduces the installation and set up costs involved with upgrading your home with solar power. That means that homeowners can start saving on power from day one, and not have to wait for the savings to pay off the equipment. Solar panels can be used in a variety of applications. We see them powering crosswalk lights. They help with producing clean water in suffering countries like Africa. Solar energy is indispensable in areas where there is no public or commercial power grid available. Solar power is even depended upon for the satellites we have in space, and the ones we send deeper into our solar system. Solar power is definitely the way to give the power back to the people, which is why it is called “The People’s Power”. Not only is this a reference to power independence, but it is about how easily accessible it is for homeowners to take advantage of. This is true for both types of solar collection hardware. Consumers can talk to their local solar power experts and choose from solar thermal and photovoltaic systems. New material sciences are underway and exciting new avenues and applications for solar power collection integration are becoming a reality. Building materials themselves can be equipped with photovoltaics and start the homes off right with solar power collection. Being in the building materials themselves doesn’t just mean that your solar power collection is already installed. it means that more surface area of your home is dedicated to reducing your need to buy power, or even it increases your excess power you have available to sell. The solar panel manufacturer Sharp has even developed and introduced clear solar systems. These solar systems are integrated as the windows in your home and further increase the solar power collecting surface. About 1/5th of homes in the United States are unable to install solar panels due to a variety of issues. Some of these problems arise from ownership issues, space, and excessive shade. Much like the cooperative spirit of shared community gardens, these home owners have the option to build a shared solar collection with their neighbors. These are called “community solar gardens”. This means the panels can do their job a short distance away. With this option homeowners can still get the benefit from solar energy when their home’s aren’t eligible for on-site installation. Home energy production without solar is usually produce by wind turbines or noisy diesel generators. There are no noises involved with solar power generation. Photovoltaics collectors have no sound associated with their functioning, as they have no moving parts. So you can take that afternoon nap right under the roof while your solar panels help free your from your energy bills. Starting in 2008 the U.S. government began offing a 30% tax credit, with no maximum limit for the installation of solar panels. There are other rebates and grants available depending on location, state, and county. Local solar energy experts have all the details for your particular location. With all of the possible rebates the potential cost of a photovoltaic system can be cut by 50% or more. These rebates are available for the majority of home owners, and even on a higher utility scale endeavor. Solar energy is as simple to take care of as it is quiet. Simply cleaning the surface of the panels a couple of times a year is usually enough to keep the system working. This means there is little work associated with having the solar power option in your home. Interest in the solar energy alternative is gaining momentum. Companies are constantly advancing the effectiveness of the panels energy collection. In addition materials science is allowing increased solar collection integration with a wider variety of applications. Every surface that is exposed to sunlight might some day be equipped to collect this green energy, not just panels attached to the roof. In recent years both the private sector and education institutions like MIT have been researching and investing in solar power sciences. With the current solar panel typically able to capture about 16% of the solar energy it receives newer panels will be more effective. A Siemens based subsidiary called Semprius Inc. has reported new prototypes capable of capturing significantly higher rates of solar radiation. Learn more about The pros and cons of monocrystalline solar panels by clicking here.